Offering real estate consultancy services like flats sales services, flats purchasing services, flats rental services, shops dealing services, bungalows dealing services, row houses dealing services, industrial sheds dealing services etc. Gandhi Property is one of the pioneering Real Estate Agents in Mumbai delivering profitable realty services to clients. We are a well-known Builder & Developer that assist clients with housing plans and construction services. We deal in Residential Property, Commercial Property and Industrial Property including flats/apartments, builder floors, farm houses, shopping complexes/malls, showrooms, warehouses/godowns etc. 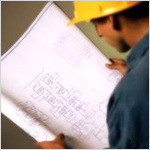 Our other specialization areas are Construction Services, Architectural Services, and Marketing & Advertising Services. 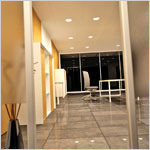 Besides, we are an outstanding Builder & Developer and Corporate Interior Designer. We facilitate our clients by providing maximum options in Residential, Commercial, Industrial and Agricultural Property. Gandhi Property is a bench marked name when it comes to real estate agents in Mumbai. 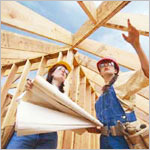 Other than a wide range of realty solutions, we offer effective Construction Services to meet clients’ demands. We specialize in Residential Property, Commercial Property and Industrial Property including flats/apartments, builder floors, heritage/ancient property, shopping complexes/malls, showrooms, factories/industries etc. 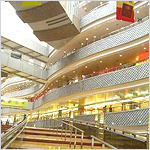 Gandhi Property has come to the limelight for providing the most fruitful realty solutions in Mumbai. We are a competent Corporate Interior Designer engaged in delivering terrific interior designing services. In the world of networking and globalization, brands need to have harmony throughout their set up. The outlets/showrooms and offices are not only business places but they can convey a lot about the brand, the philosophy of the company and the business ethics. The Marketing & Advertising division of Gandhi Propertys (Mumbai), Purple Patch Advertising offers affordable, cost‐effective Project Marketing & Advertising Services to Builders, Developers & Realtors. 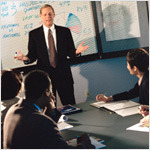 We create and implement a complete marketing program, tailor-made to target markets and purchaser profiles. Our approach is positive, flexible and innovative and our professionalism is second to none.